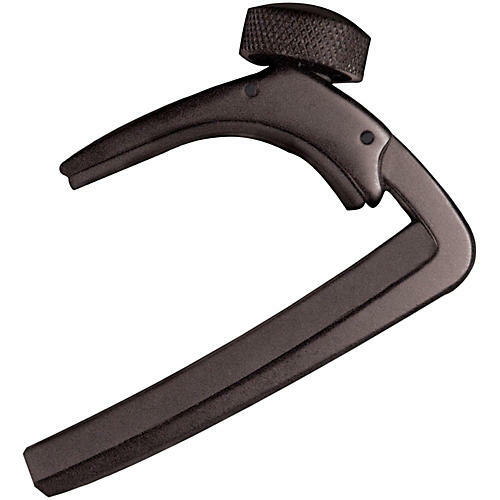 Ned Steinberger, the famed product designer, worked with Planet Waves to design this innovative patent-pending capo. The result is a capo that's strong yet lightweight with one-handed operation that allows extremely precise intonation. The NS Capo is made of a sleek, ultralight aerospace aluminum that adds virtually no weight to the neck of your guitar. Plus it has a smooth micrometer screw to ensure the perfect pressure for buzz-free performance at every fret. Works with 6- and 12-string guitars with a simple, convenient single-handed operation that makes it perfect for any guitarist, whether you're a beginner or a professional.